Wednesday 13th October saw the official launch of a new special collection. The Geography Textbooks Collection is the first of what we hope will be a series of collections of historical textbooks, fully catalogued and available to researchers. It covers all aspects of geography and includes materials for both primary and secondary schools. The earliest textbooks date from the mid-nineteenth century, and the latest from the 1990s. 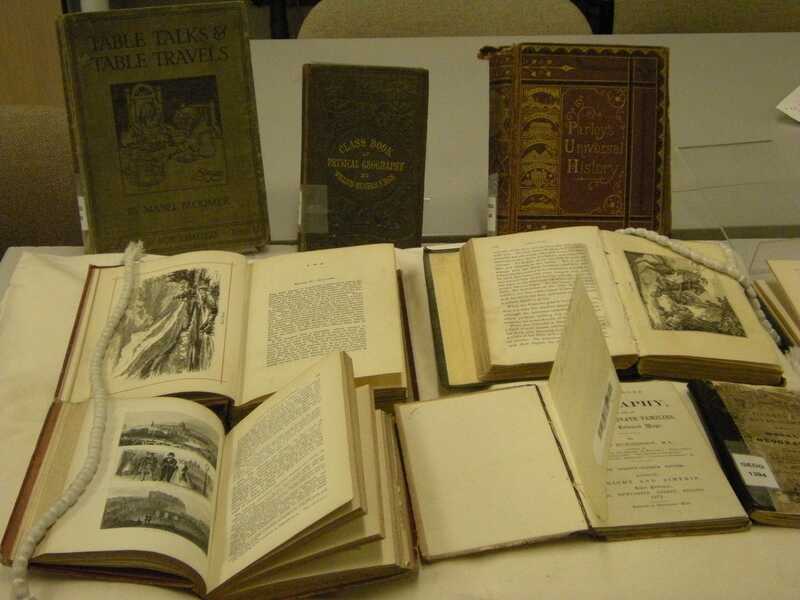 The collection has been assembled with the help of generous gifts from the University of Cambridge and the University of Southampton Library, which have been added to the existing collections of the Newsam Library. Cataloguing the collection has been made possible by a series of grants from the Frederick Soddy Trust. The Trustees joined geographers attending ESRC seminar ‘Communicating Public Geographies’ to celebrate the completion of the cataloguing project and official launch of the collection. This entry was posted in Library and Archives and tagged geography, special collections. Bookmark the permalink. I am trying to find a copy of an out of print text book (Geography for 11-14 Year Olds New Russia – Study Guide, Bob Drew, 1995, 1899214283) and have searched all usual routes. Would you have any advice? Sorry, we haven’t got a copy in our collection. Maybe one of our readers will be able to help.